● Sign up for the Choice Privileges rewards program for free and earn points for your stays at any Choice Hotels locations, purchases made with Choice Hotels Visa card and more. You can redeem points for rewards such as free stays, airline miles and gift cards. You can also get 500 points for referring a friend and up to 20% off bookings when you book and pay in advance. Finally, the program’s Bonus Points Packages allow you to get up to 1,000 extra points for staying at participating locations. ● Check the Special Rate Program and see if you qualify for a discount, e.g. AARP members save up to 10% at participating locations; seniors, military and government travelers receive lower rates; and kids stay free under certain conditions. ● Coupons for Choice Hotels are rare, but if you find one it can get you up to 20% off your entire stay and consequently achieve large savings. If you stay with Choice Hotels regularly consider signing up for its reward program, or at least its newsletter to get news on promotional activities delivered to your inbox. 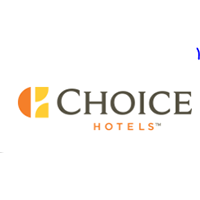 Choice Hotels is a hotel chain that incorporates a variety of smaller chains such as Comfort Inn and Suites. If you're looking for the best rates for their hotels, it is advised that you book through their site. You can enter the city, airport code, or attraction that you will be visiting to receive a list of hotels in the area along with the check in and check out times. The website will then give you a list of possible hotels and rates that you and your family can sort through in order to get the best deals available for their hotels. For most up to date offers check out Choice Hotels on Facebook and Twitter or contact Choice Hotels Support for any questions.